With all the obvious regeneration of the Waterfront going on, it’s very easy to forget one of the most heavily-invested projects currently underway, just slightly out of view. 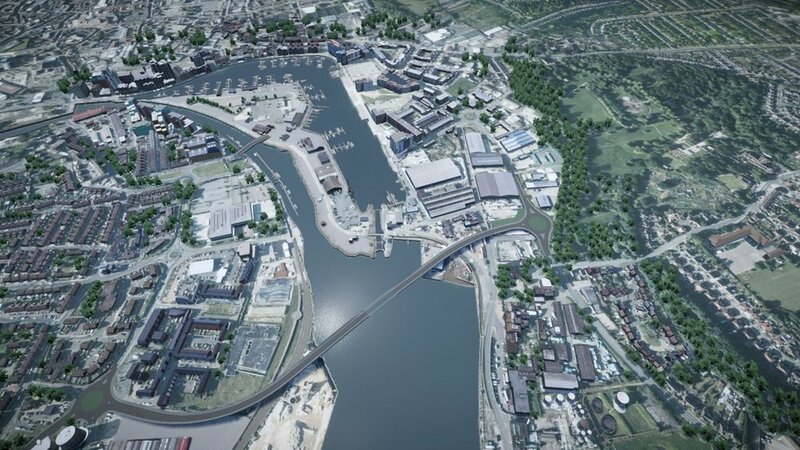 In 2016, funding was approved for a radical solution to Ipswich’s infrastructure problems, in the form of the Upper Orwell River Crossing. The project will have a major impact on the Waterfront and surrounding area, and as such we intend to give our readers an update every month on any changes, delays or progress. At the time of press, Suffolk County Council had just announced where the preferred crossing sites will be (as depicted below). The details of the structure and design of the crossings are subject to change, but will be announced later this year. We attended a Public Information Event on the project in early March, and will be providing an update from this in April’s issue.